When you're planning a home or commercial restoration, you need to know exactly what you're getting yourself into. 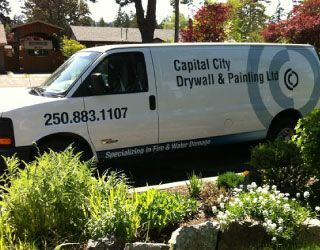 At Capital city Drywall & Painting, we offer all our customers a free estimate on their home restoration or repair project. We travel to homes all over Victoria and the surrounding areas, providing accurate estimates, timely services and exceptional customer care. Get in contact with us today and receive a free quote. Give us a call or simply fill out all fields of the eform located on this page and we will get back to you with a response as soon as we can.